India has over 30 types of bread—these seven are perfect to start with. They come in various forms—leavened or unleavened, baked, fried, steamed or slapped across the cavernous walls of tandoor. To date, there are over 30 types of Indian breads and they differ from region to region, with each city putting their own spin on the type of flour used and cooking method applied. But what these breads generally have in common is their ability to mop up delicious curry sauces or house various types of toppings and stuffings. It may be daunting to set out and explore the expansive world of Indian breads, so we’re here to help. Here’s a beginner’s guide to seven popular Indian breads and how to eat them. 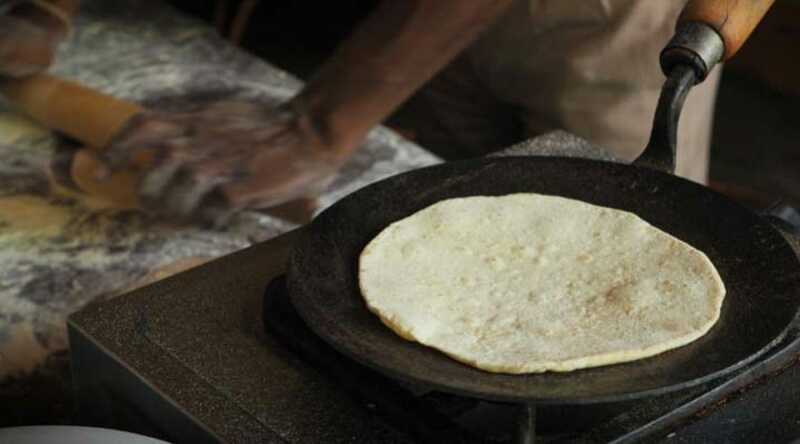 The word chapat means “slap” in Hindi, giving us an idea of just how the Indian flatbread is made. The unleavened bread is formed by slapping and stretching out the dough between the palms of the cook before finding itself on a tava—a flat, disc-like frying pan. But the real beauty of the chapati is its ability to pair with virtually any gravied curry or stew. Its mild, nutty flavor, along with its relatively healthy preparation, makes it India’s common staple food; it’s an everyday bread if you will. This layered flatbread finds its roots in Kerala, Tamil Nadu and India’s neighbor, Sri Lanka, and is often confused with the north Indian paratha as both flatbreads share similar attributes (think crispy flakiness and layers). However, there are subtle differences between the two: the parotta, unlike the paratha, is made with maida flour, which has a higher gluten percentage. The result is a silkier, doughier flatbread. 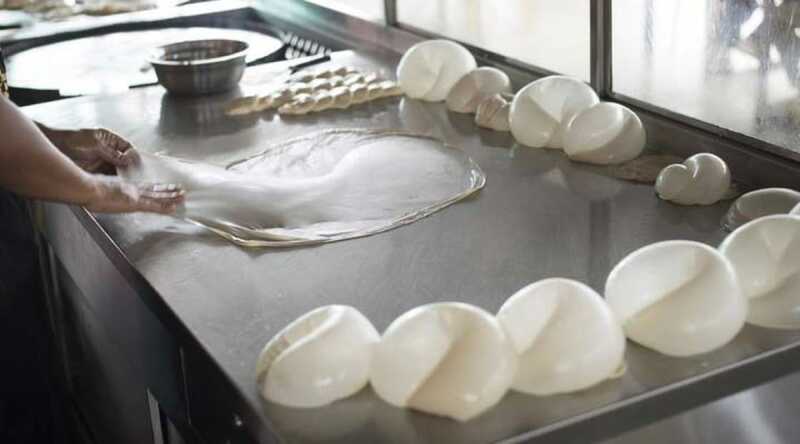 It is said that the roti prata that we know and love is derived from this South Indian favorite. Malaysians know the flatbread as roti canai, which is believed to be a nod to its Chennai roots. The bread is traditionally served during breakfast or lunch with a dal (read: lentil curry) but has recently seen numerous modern updates—stuffed with onions, sardines and slices of cheese, or served sweet with condensed milk, Nutella and bananas. One of the most popular unleavened flatbreads in India for its versatility, parathas are flaky, chewy and denser than chapatis. 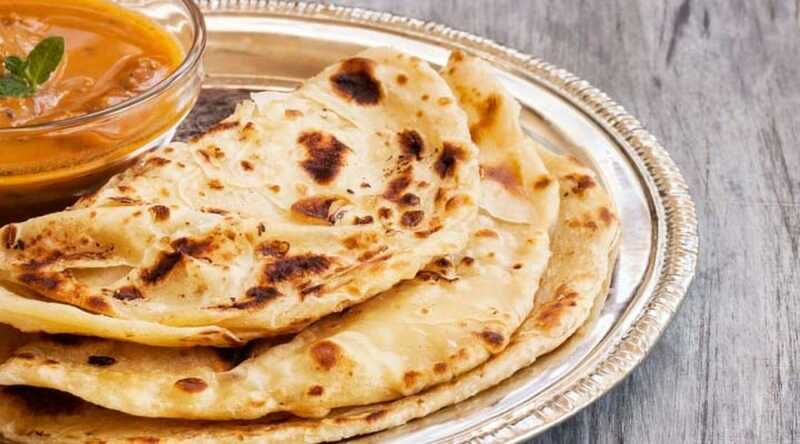 And unlike parottas, whose flakiness is achieved by repeatedly slapping the stretchy dough, the paratha’s flaky, chewy texture is achieved through a series of ghee-layering and folding—a technique typically employed in the making of puff pastry. Parathas are then baked on a hot tava before getting shallow-fried off. The result is a beautiful crisp flatbread that can carry and hold up well against thick curries and dry stir-fries without disintegrating. 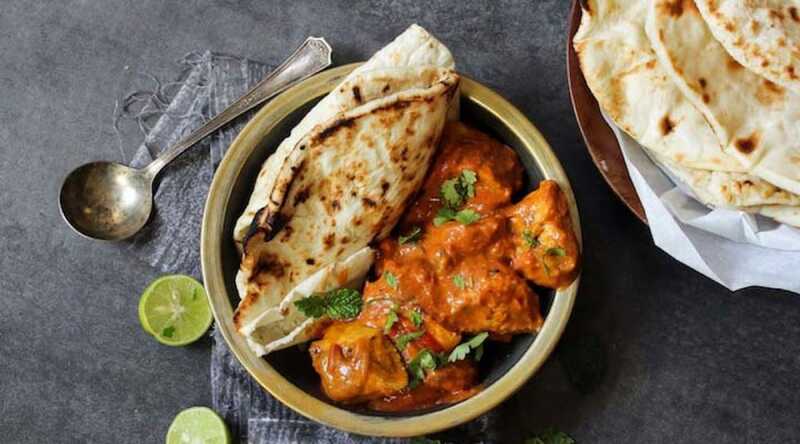 Probably the most famous of Indian breads, this delicious leavened bread is best served fresh off the tandoor with dishes like tandoori chicken and kebab. While it is traditionally made in a tandoor, it can be easily recreated in an oven or pan at home. Just remember to brush it with some ghee or butter when you’re done. 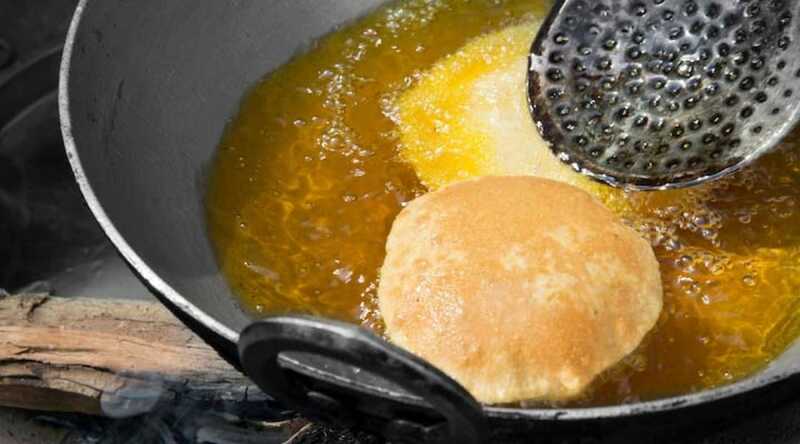 Fried to a golden, crispy puff is puri, a delicious unleavened Indian flatbread that inflates once the dough hits the oil. It is best accompanied by a chana masala (thick chickpea curry), korma (braised meat and vegetables) or a dal. 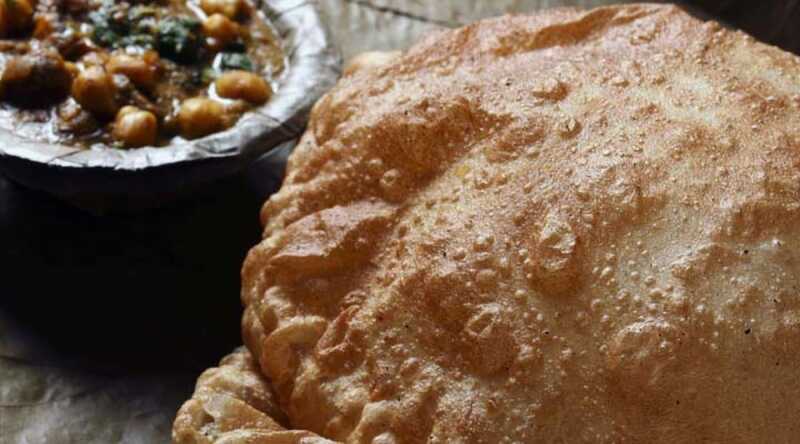 Like a puri, the bhatura is a deep-fried, golden ball of goodness. But unlike the puri—and more similar to naan—the bhatura is a leavened bread made with maida flour, yogurt, ghee and yeast. It is often eaten with chana masala for breakfast and comes served with a tall glass of lassi, a yogurt drink mixed with water and spices, which originates from India’s Punjab region. There are two main types of bhakhris: one is cooked like a pancake on a hot tava while the other is puffed up and served with ghee. This flatbread is very typical of Maharastrian cuisine, which is known for their austere-yet-flavorful foods in India. 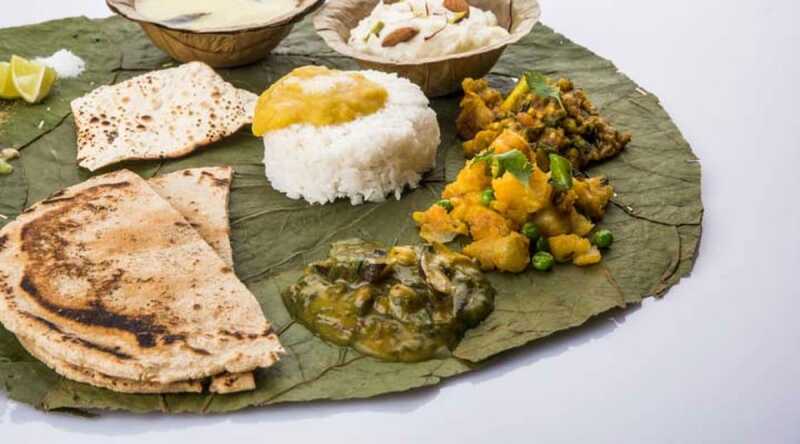 Farmers often carry sheets of bhakri out with them to the fields at the crack of dawn alongside chutneys, baingan bharta (a dish of spiced eggplant similar to the Middle Eastern baba ganoush) and rice. The chef reflects on his journey from New Delhi to Burlingame, California. 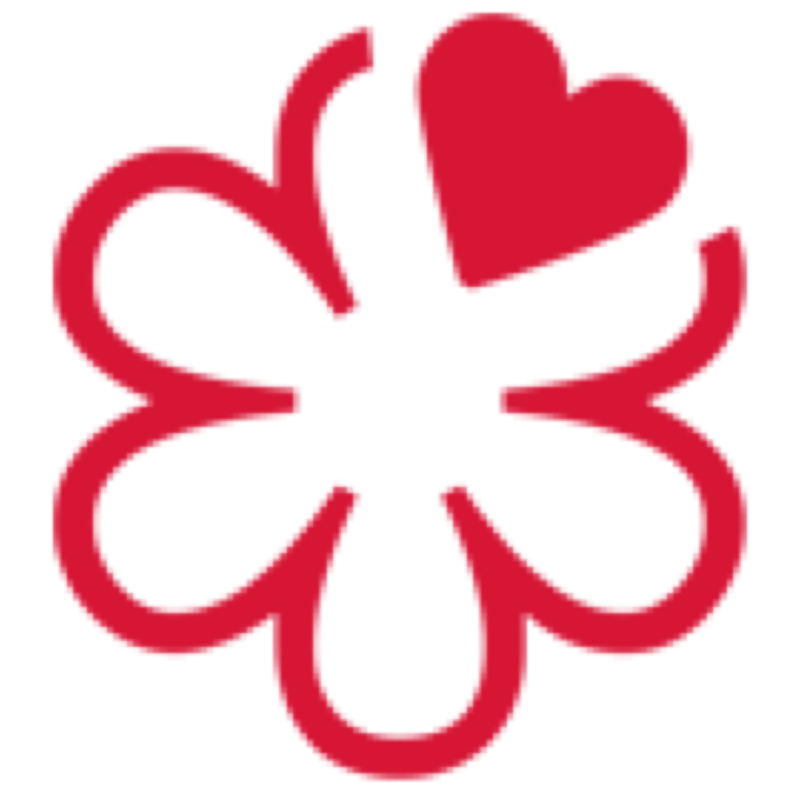 Celebrate NYC Restaurant Week with this recipe from Junoon’s executive chef Akshay Bhardwaj.